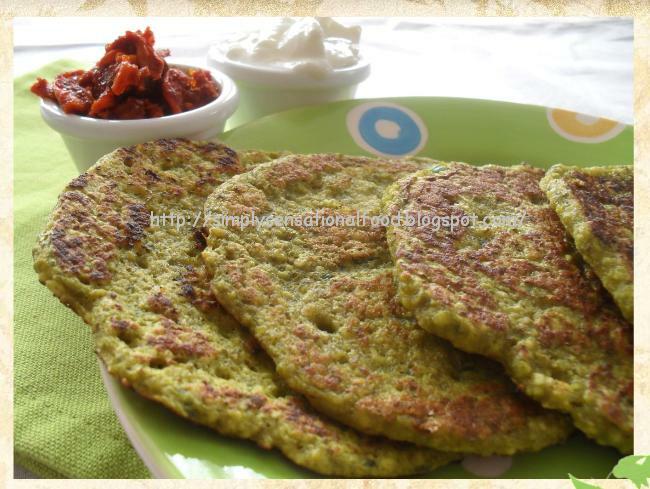 Moong dhal pudlas (pancakes)- Moong dhal pancakes healthy, protein packed and simply delicious flavoured with spring onions and fenugreek (Methi ). 3 tablespoons sunflower oil for cooking pancakes. 1. Wash the moong dhal and drain water put in blender. 2. Add the salt, turmeric, ginger paste, chillies and fenugreek. 3. Add the measured water and yoghurt and blend to form a dropping consistency batter. 4. Stir in the chopped spring onions and the eno salts. 5. Once pancake batter starts to set flip the pancake over and cook underside. 6. Place on kitchen paper and repeat process for rest of batter. Makes about 12 pancakes. Serve with yoghurts and carrot pickle. Priya's easy N tasty pancake event. First sight I thought they were the potato pancakes. 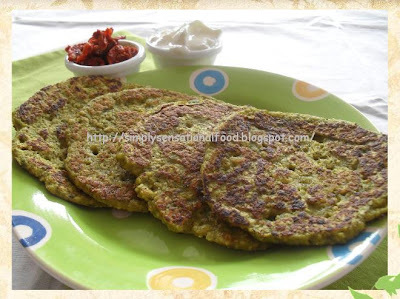 Mung bean pancakes sound so healthy, and delicious. This sound so healthy and good! Thanks for sending and a delicious pancakes looks absolutely tempting..
term pudla is new for me..
Moong dal phulka looks really yummy and healthy. Nice dish. very healthy.do visit my blog when you find some time.following you. Very tempting & awesome looking pancakes.... Surely unique with its ingredients..... KUDOS!!!! Thanks for sharing the lovely recipe . Eager to try it out - I'l be making it for my daughter's tiffin tomorrow !!! wow, this can be part of my SBD menu plan, bookmarking this one. Will try this one for sure. Pink Grapefruit and pickled gherkin salad. Bean burrito with an Indianised touch.